Here, under the Data category you would expect to see the “Report Library” template along with other BI templates. If you dont, it probably means that you dont have the Enterprise features enabled for the Site or Site Collection. Information on how to solve this issue is not forthcoming on the web. Here is what you need to do to get it to appear. This should fix your problem and enable the Report Library and other templates, which you can now add to the site. You may need to edit the library to allow the Report content types (effectively allowing the .rdl extension). 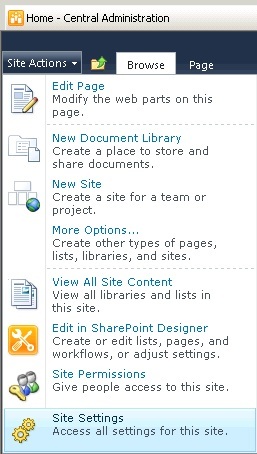 This entry was posted on Wednesday, February 23rd, 2011 at 7:00 PM and is filed under Sharepoint, SSRS. You can follow any responses to this entry through the RSS 2.0 feed. You can leave a response, or trackback from your own site. See the comment from theChriskent below which is also relevant and may be something i forgot to add! If you managed to solve the issue please do post back here for others. Its a strange one overall.. since this post, ive seen instances where it just wont come up no matter what. Furthermore, SSRS integration itself is not actually an Enterprise feature, in fact it works in Foundation too. I believe only the Report Library template is part of the Enterprise feature set. I am trying to create an assets Library on my test environment but I can’t even get beyond the first step. When I click on More Options >>>> Create, I can’t find “Assets Library” in the options. Other types of features are available such as “Document Library”, ” “Team Sites”, etc. I have installed Silverlight and the site is a Team Site. 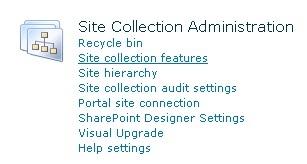 Have you enabled the Sharepoint Enterprise features at the site collection and site level? this may be why you are not seeing the Asset library template. I’m having the same problem with a client’s SharePoint 2010 Foundation site. Is this feature available in Foundation ? The web analytics reports show the document template library to the left as it should but in the intranet site, there are no templates available, just figures. Can this be switched on for the Foundation version or is it a feature only available to Enterprise versions? Unfortunately i cant seem to work out exactly what you are experiencing from what you have mentioned here. SSRS integration is supported in Foundation but other Business Intelligence components are not available.